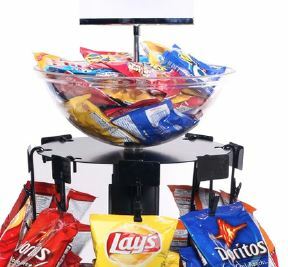 The Merchandising Wheel can be used alone or with the Queue Solutions Display Bowl to optimize the merchandising capacity of your queue barriers. The wheel simply slips onto the top of the barrier and has capacity for up to 8, 12 station Clip Strips. When merchandised the Merchandising Wheel provides an eye catching retail display right in the best impulse buy location, the customer queue. The wheel’s high capacity reduces the frequency of restocking. If used as a stand alone fixture all 8 positions can be loaded allowing the unit to be merchandised through 360 degrees, if used at the end of the queue line 7 positions are available and when at a mid point in the line 6 positions can be merchandised. 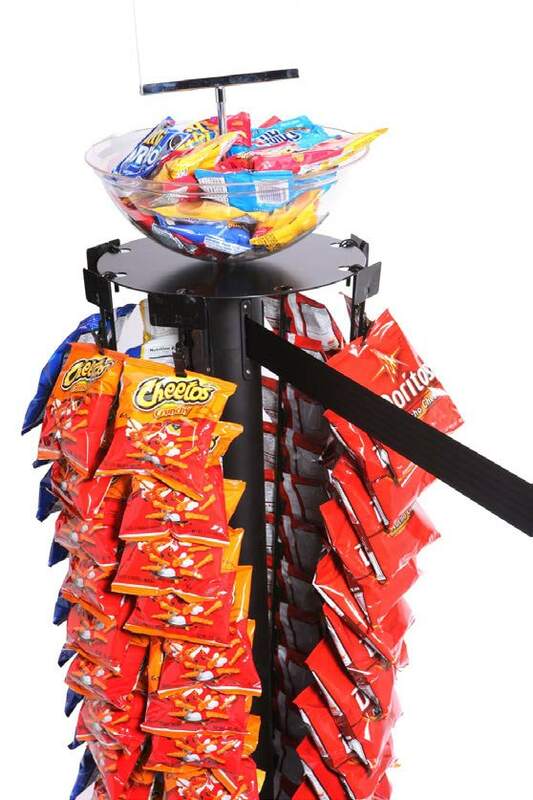 Can be merchandised through 360 degrees when used as a standalone fixture. High capacity, up to 8, 12 station Clip Strips can be loaded requiring fewer restocks. 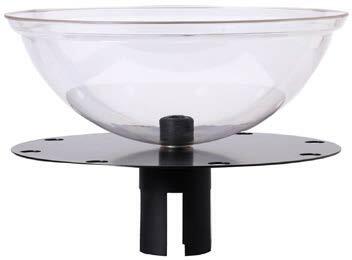 Available with a Display Bowl for extra capacity. Easy to fit and remove, no tools required.